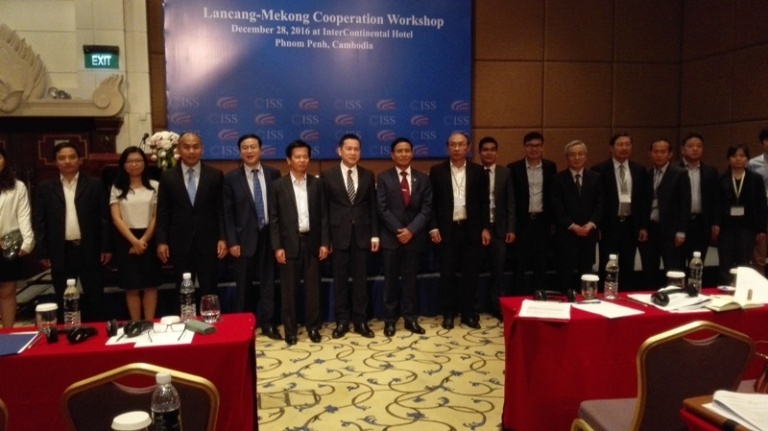 On 28 Dec. 2016 in <?xml:namespace prefix = st1 />Phnom Penh, CCCWS Director-General Dr. Jin Xin participated in the Regional Workshop On Lancang-Mekong Cooperation with two other CCCWS colleagues. The Workshop was co-hosted by Cambodian Institute for Strategic Studies and CCCWS. Nearly 100 experts and scholars from China, Cambodia, Laos, Burma, Thailand and Vietnam took part in the Workshop. CCCWS Director-General Dr. Jin Xin makes a keynote speech at the Workshop. 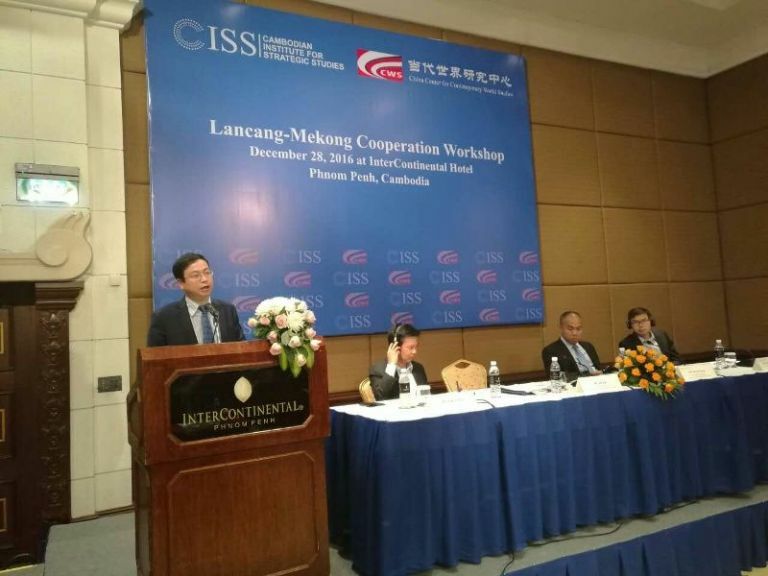 At the Workshop, Dr. Jin Xin elaborates the concept of the “Belt and Road” Initiative, and significance and prospects for Lancang-Mekong cooperation. He also holds in-depth discussions with the other participants. Mr. Kung Phoak, Co-founder and President of Cambodian Institute for Strategic Studies, speaks briefly about the current situations of Lancang-Mekong countries, and emphasizes that all the relevant countries should strengthen cooperation. The Workshop participants take a group photo.